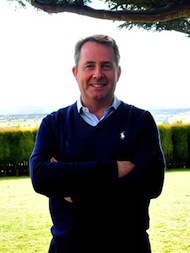 Dr Liam Fox was first elected in 1992 and lives locally in Tickenham. He holds regular surgeries for constituents in Clevedon, Nailsea, Portishead and Yatton and has a reputation as a hard-working constituency MP. He worked as a GP in Nailsea before becoming a member of Parliament and has held high office in both opposition and government. He has the experience inside and outside Parliament we need for good government. Liam has been at the centre of local campaigns such as the defence of the green belt, especially around Long Ashton, Dundry and Failand. He has been a leading figure in the local battles such as the electricity pylons affecting Backwell, Nailsea and Yatton. In Parliament he has campaigned for a Portishead railway link and famously described Portishead as the biggest cul-de-sac in Britain . He is patron of a large number of local organisations and charities including Mencap, Children's Hospice South West, Clevedon Pier, Portishead lifeboat, the Jessie May Trust, the Curzon Cinema and numerous sports clubs. Liam contested Roxburgh and Berwickshire in the 1987 General Election, and was elected as the Member of Parliament for Woodspring (renamed North Somerset for the 2010 General Election) in April 1992. In June 1993, Liam was appointed Parliamentary Private Secretary to Michael Howard, then Home Secretary. In July 1994, he was appointed an Assistant Government Whip, and promoted to the position of Senior Government Whip the following year. He was a Minister at the Foreign and Commonwealth Office from 1996 until the 1997 General Election. In June 1997, Liam was appointed Opposition Front Bench Spokesman on Constitutional Affairs. For four years from May 1999 to November 2003 he served as Shadow Secretary of State for Health before being appointed Co-Chairman of the Party in 2003. Subsequently, from May 2005 to December 2005, he served as Shadow Foreign Secretary. He then served as Shadow Secretary of State for Defence from December 2005 to May 2010. Liam was appointed Secretary of State for Defence by Prime Minister David Cameron on 12th May 2010. He resigned from this position on Friday 14th October 2011 and returned to the back benches. On returning to the back benches, Liam focused on the UK's future relationship with the European Union, options for reducing our budget deficit and stimulating growth in our economy, and kept a very close interest in our national security and the well-being of our armed forces. Liam is the MP for North Somerset.